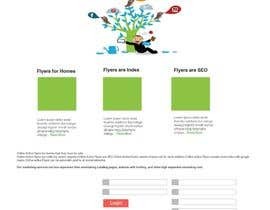 We allow clients to create online active flyers for homes that they have for sale..
All the online property flyers that the client creates are index by search engines, SEO, Every online flyer property flyers property address creates Unique urls, each online property flyer creates active links with google maps. 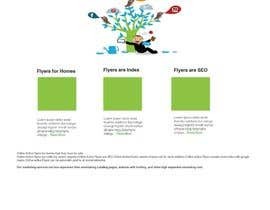 Our marketing services are less expensive than maintaining Landing pages, web hosting, and high expensive marketing cost. More Services: Our services will allow anyone in the real estate business to create new business, new contacts, insanely without the high cost of marketing. Use all of the selling points to create some of the content for the two mock up pages.. Find pictures about marketing on the web (I.e Computers,iPhone mobile devices, Search engines listing, and other thing to do with marketing) google maps, social networks.. please make sure have the pictures to fit in the main page.. Please don't make the main look anything like the current template...Be creative…. We want the pages to look different… We need all final files given to us in file format that the programmer can quickly incorporate into the website. Ping me back... Its real simple the changes we need.. Please let me know what are the changes we have to do such that we can provide you the desired design. Hoping to hear from you soon in this regards. We just need a few thing removed.. some pictures and content that fits our company services..
Just the PSD Design... We are really have the coding done..